Beautiful mobile home with large secure decked area, suitable for children and dedicated driveway for parking. 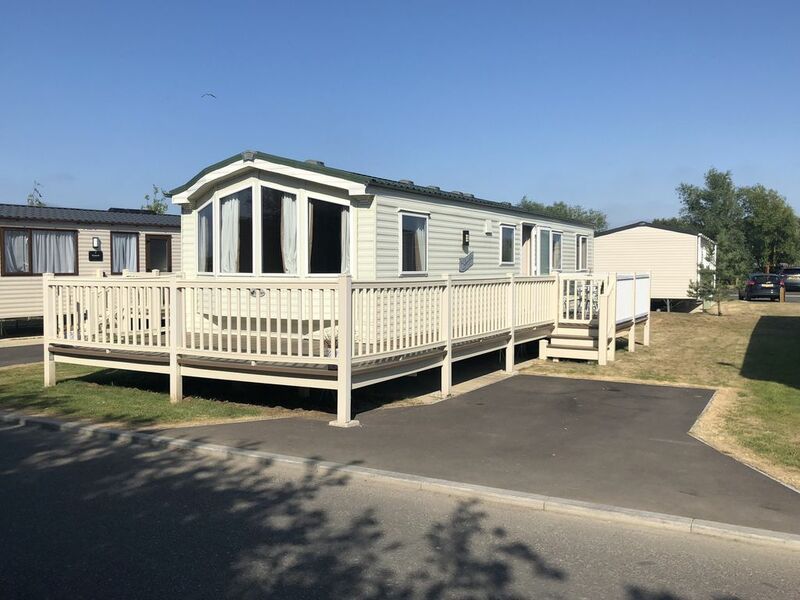 Based at popular Tattershall Lakes Country Park with swimming, watersports, fishing, kids activities, shops, bars and restaurants - golf nearby including National Golf Centre at Woodhall Spa. Based on a network of lakes has lots of country walks.Home has central heating, double glazing, master bedroom with en suite, bathroom with large shower, twin bedroom and additional double sofa bed. The kitchen has a cooker, dishwasher, fridge freezer and microwave. The home is light and bright and beautifully laid out with everything you will need for a fantastic holiday. A luxury welcome pack with prosecco is also included. Although only had a short stay (3days) caravan was clean and comfortable and had all you need for a full holiday break.Full kitchen equipment,lovely hot water and heating.